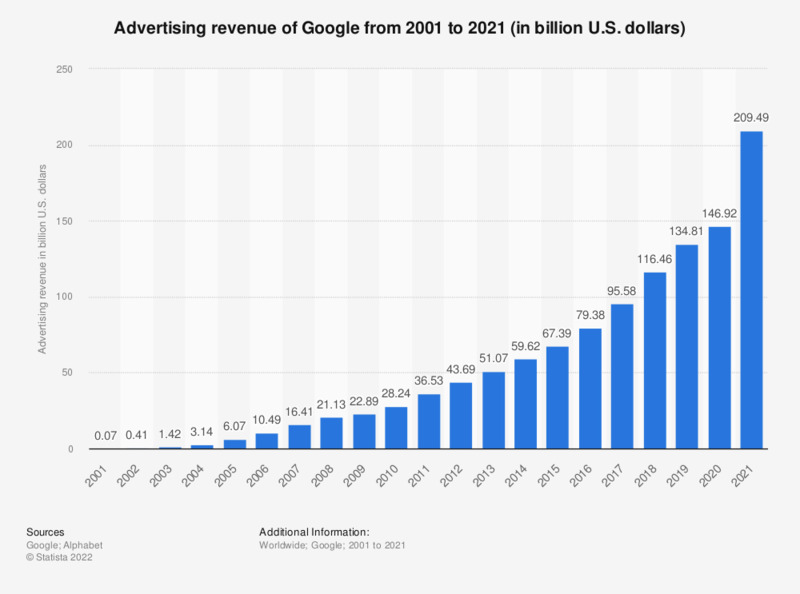 This statistic displays Google's advertising revenue since 2001. In 2018, Google's ad revenue amounted to almost 116.3 billion US dollars. That year, advertising accounted for the majority percent of the online company's total revenues, which amounted to a total of 136.2 billion U.S. dollars. In the most recent fiscal period, advertising revenue through Google Sites accounted for 70.9 percent of the company's revenues. Advertising through Google Network Sites was ranked second with a 16 percent share.